According to its adjusted fleet modernisation plans for 2018, Ukraine International Airlines (UIA) is to operate a fleet of 48 aircraft, a net increase of seven. During the course of this year, the flag carrier expects to take delivery of 10 aircraft, two fewer than previously planned. They are four Boeing 777-200 long-range widebodies (one of which is already in operation), as well as four Boeing 737-800 narrowbodies and two Embraer-195 regional jets. Also in 2018, UIA will cease operating all of its three remaining Boeing 737 Classics. However, the plan to add more Embraer regional jets could be jeopardized by the Ukrainian government’s recent new initiative, a regulation which came into effect on January 1, cancelling tax rebates for imported leased aircraft types seating between 44 and 110 passengers and with maximum take-off weights of between 10 and 30 tons. In the meantime, UIA has taken delivery of another factory-new Boeing 737-800, which was delivered on March 17 directly from Boeing to the carrier’s main hub at Kyiv Boryspil, the country’s premier airport. The CFM56-powered aircraft, UR-UIC, has undergone an official registration procedure in Ukraine. The aircraft seats 186 passengers in a two-class cabin layout. UIA expects to operate the new Boeing 737-800 across its medium-haul route network. With UR-UIC starting commercial operations on March 20 on the Kyiv-Lviv route, UIA expects to receive the next new 737-800 (UR-UIВ) in a week’s time. UIA currently operates a fleet of predominantly Boeing aircraft, comprising one 777-200, four 767-300s, 28 737NGs, three 737CLs, and also five Embraer E190s. The carrier’s airliners have an average age of 11.5 years. 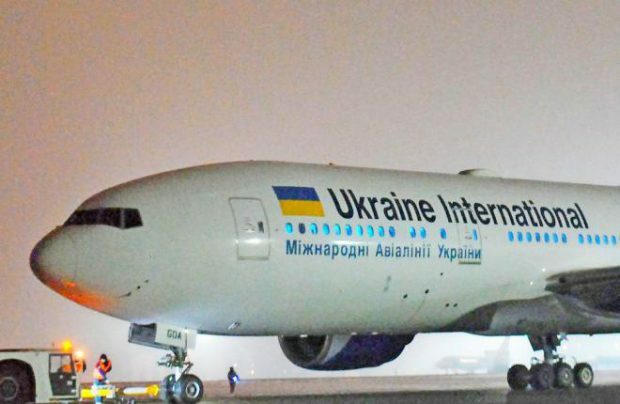 Ukraine International Airlines, a 100% privately owned carrier founded in 1992, connects Ukraine with more than 50 capitals and key cities throughout Europe, Asia, America, Africa, the Middle East, and the CIS. The airline now operates more than 1,100 scheduled flights per week.